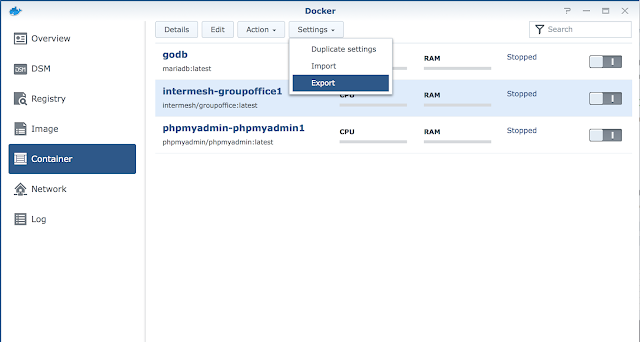 Previously, I've written a post about installing Group-Office on a Synology NAS using Docker. Here's a writeup about how to update Group-Office. 1. 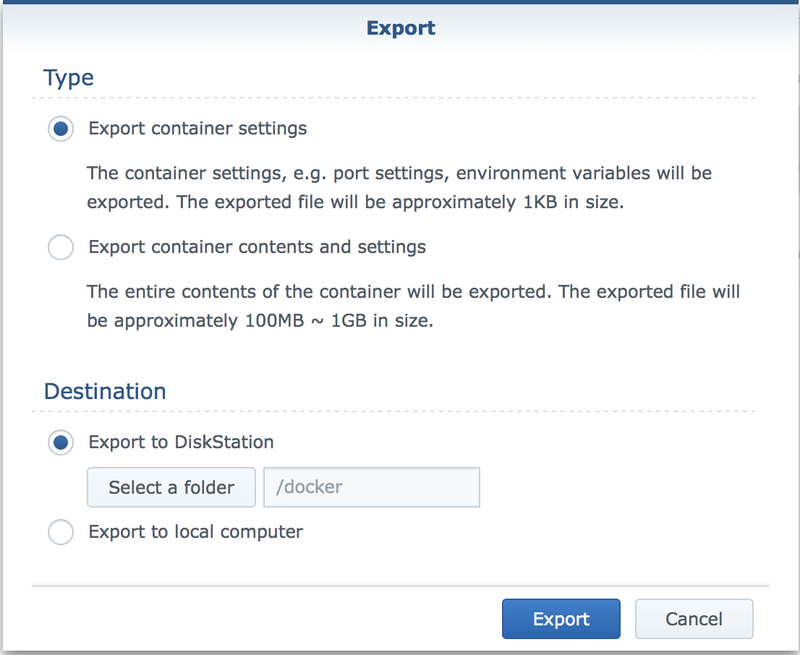 Login to the Synology NAS web interface. 2. Launch Docker from the Applications menu. 3. 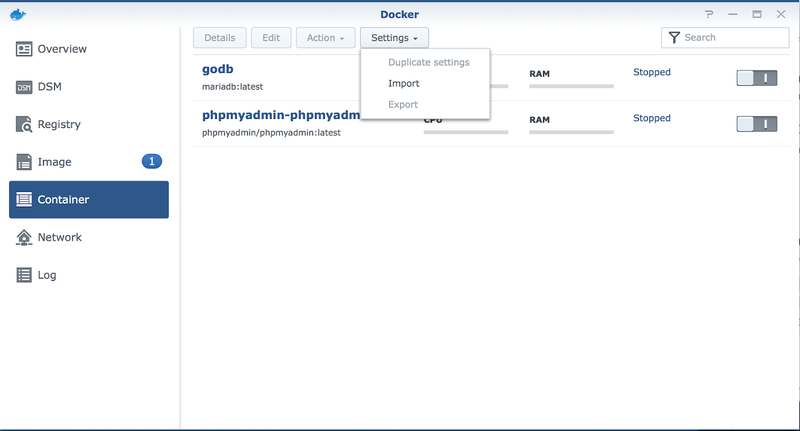 On the "Containers" tab, stop the Group-Office container. 4. Select it and choose "Settings" -> "Export". 6. Delete the group-office container (Don't worry, your data will still be on the NAS). 7. Delete the intermesh/groupoffice image on the "Images" tab. 8. Download the new intermesh/groupoffice image on the "Registry" tab and wait for it to finish in the "Images" tab. 11. Visit the Group-Office web page and the upgrade process should start. 12. Click continue to login to your updated Group-Office!